>This, ladies and gentlemen, is a doggie donut. Admit it. 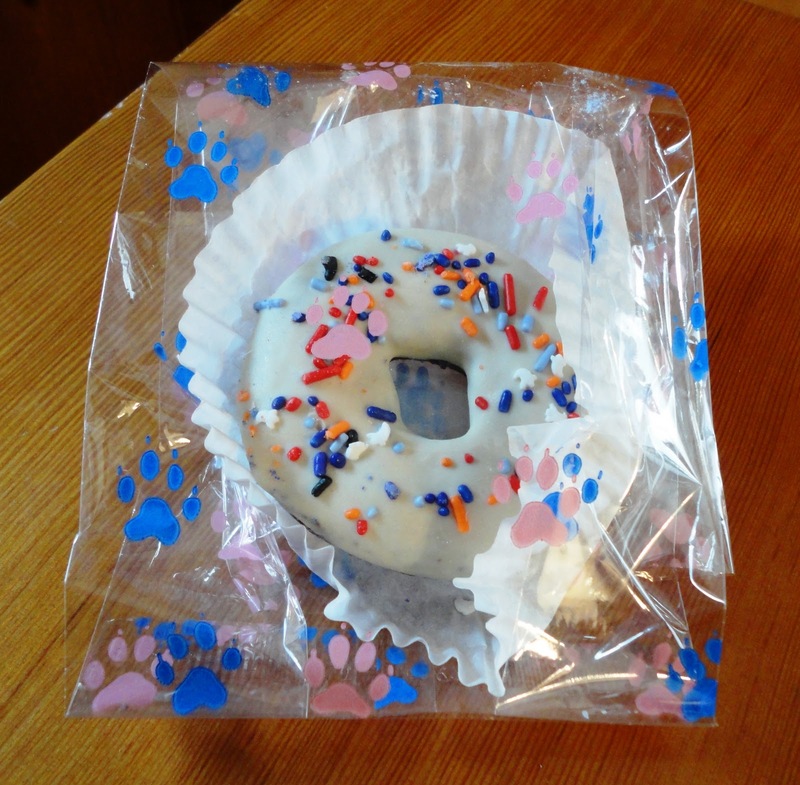 Were it not for the paw print cellophane, you may have reached for this “donut” if it were sitting on a friend’s counter. And for some, the paw print cellophane may not have mattered in the slightest. Question: Which is it? 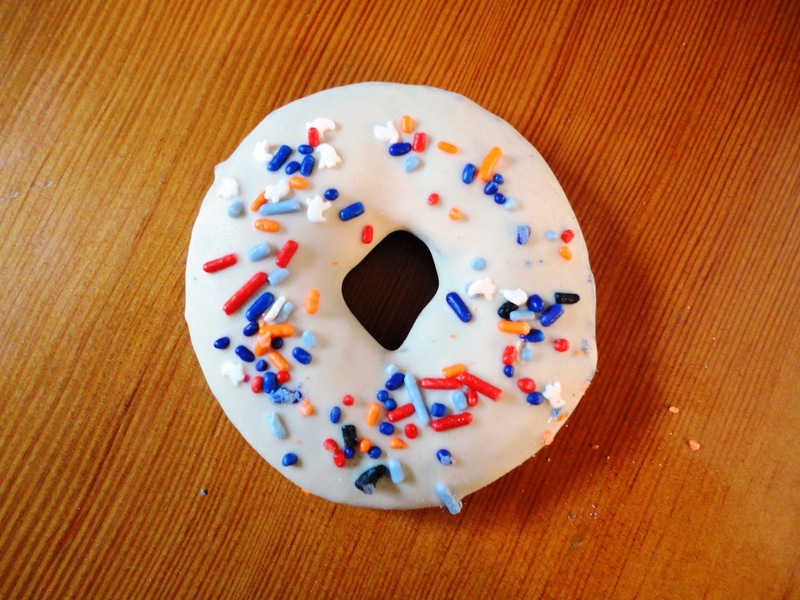 Donut or doughnut? TLB doesn’t care. As long as it’s made with carob instead of chocolate. Carob is pretty interesting stuff. I tried to be vegan once and made some peanut butter cups from Alicia Silverstone’s The Kind Diet (check it out – it’s a great book). Instead of using chocolate chips I used carob chips. They were good. In a hippie, vegan, gee-these-taste-a-little-different sorta way. TLB gets a gourmet treat like this probably two to three times a year. They’re gone in about 1.5 seconds, but it’s fun to mix it up with something special. What’s with the ghost sprinkles? Unfortunately, I don’t have an ingredient list on this treat, so I don’t feel right giving it a rating. I think you can guess that TLB liked it! Posted on December 18, 2010 May 14, 2011 by Shannon	This entry was posted in This 'N' That. Bookmark the permalink.